An article on xml.com - Fast XSLT talks about the race for building faster XSL transformers. One approch focused on is generating a "translet" (a java class) from the style sheet, then executing the compiled class. Compiled execution is great, but compiling isnt. I would hope that application servers that plan to use XSLTC would do it in a transparent way (such as how JSP is compiled into a servlet and then cached behind the scenes). 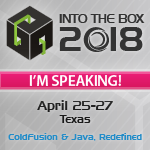 It would be cool if you could write Java code under your web root, and then have the java code compiled automatically by the ColdFusion server. That is one feature I had wished CFMX would have. However I think this could be implemented on your own with a filter, and a fancy class loader.